Kinshasa 13-04-2019 Economy - The samples taken from these cows were sent to Kinshasa by the head of the Kwilu Provincial Fisheries and Livestock Division for appropriate examinations. An epidemic, not yet identified, decimates cows in the provinces of Kwilu and Kwango, told the press Mr. Robert Senge, head of urban service of fishing and livestock of the city of Kikwit. Out of 120 cows on a farm in Lusanga, 50 were affected by this epidemic. According to Robert Senge, this epidemic, which manifests as generalized weakness, colds, diarrhea in cows with this disease, reappeared a few months after the mastery of the first mastered to 20% thanks to the intervention of FAO in these two provinces. 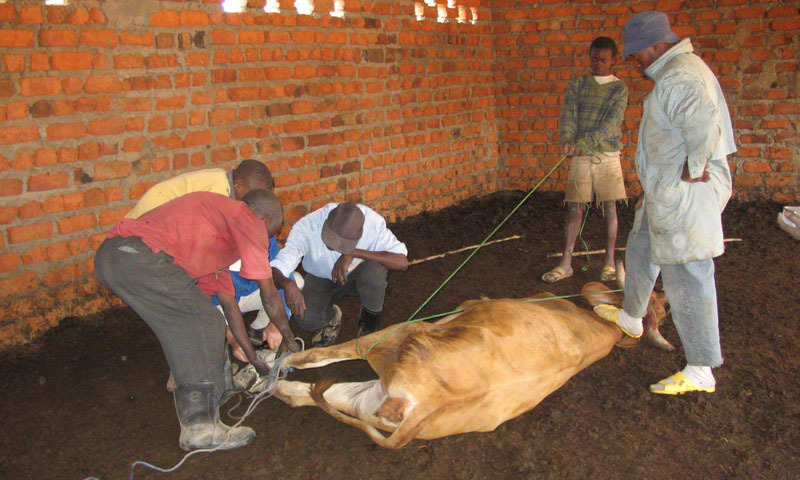 While waiting for the results, Senge's chief of services calls the inspectors of his department to the vigilance to detect the sick cows to spare the population of contamination.